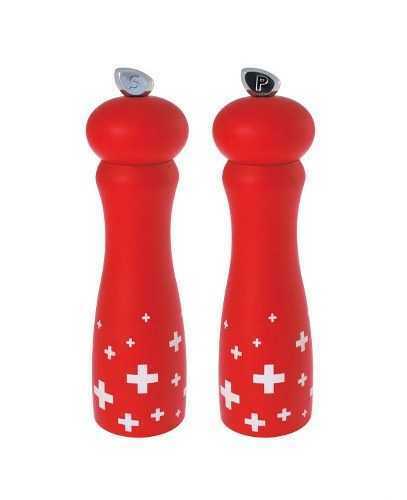 Salt and Pepper Set with a Swiss Cross design. 8” tall with ceramic corrosion proof grinding mechanism. Service Area: New Glarus, Beloit, Janesville, Rockford, Loves Park, Machesney Park, Whitewater, Oregon WI, Waunakee, Verona, De Forest and surrounding communities.